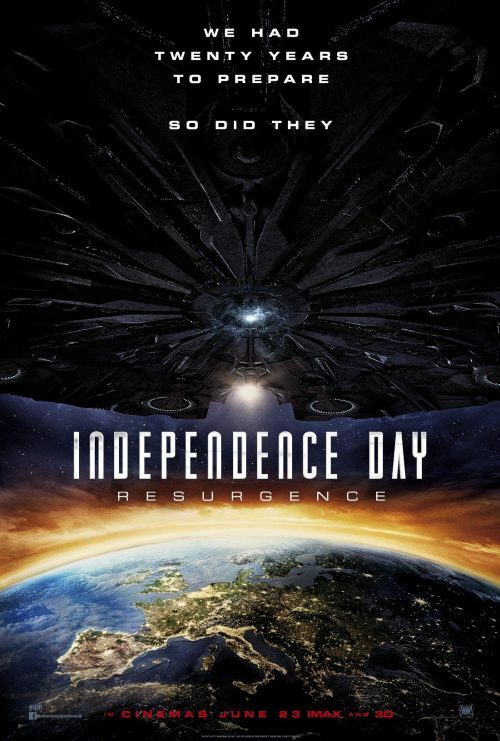 Earlier a new poster for IDR, Independence Day: Resurgence, was relaesed. It’s described as the “New European poster”. It does look remarkably similar to the teaser poster that came out in early February.